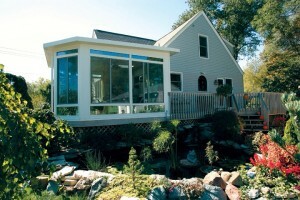 Once installed, sunrooms can add to the enjoyment and value of homes across Minneapolis, Minnesota. After having a premium sunroom added to your residence, you’ll have extra square footage in your house that is perfect for entertaining and relaxing in. Imagine being able to use the natural light filtering through your sunroom to read a book or thumb through the newspaper as you enjoy your morning coffee. You will be able to delight in beautiful views and lighting while remaining in the comfort of your home, which means extreme heat, cold, and biting insects won’t ruin your relaxing time. When it comes time to research sunrooms, you can greatly benefit from looking over the details of the enclosures before deciding which one you want to invest in. To ensure you get the most for your money, upgrade your home with a sunroom that is aesthetically pleasing, functional, and energy efficient. Some companies even offer a wide variety of designs to choose from so that you can match the style of the sunroom with the specific architecture of your home. For beautiful and practical sunrooms in the Minneapolis, MN, area, turn to U.S. Patio Systems and Home Remodeling. We offer several styles of sunrooms, from a Solarium model that features full glass windows and an all-glass ceiling to a Cathedral enclosure that has vaulted ceilings to really open up your home. Plus, the sunrooms we sell and install come with many energy efficient features that will help keep your home warmer in the winter and cooler in the summer. Since your HVAC system won’t have to work as hard to regulate the internal temperature of your home, you might even be able to save money on your monthly energy costs. For more information about the sunrooms we have available, contact U.S. Patio Systems and Home Remodeling today.